The folks at Engadget have been lucky enough to receive two early examples of the Dell Thunder Android smartphone which they promptly showed off in a preview video. View the pictures of the prototype Dell Thunder here. The two Thunder handsets previewed are shown to run on Android 2.1 and 1.6 with a 1GHz Snapdragon processor, but it's expected that the official launch will be with Froyo 2.2 preloaded. Additionally, they are shown to sport a 3.5mm headphone jack, micro-USB port for connectivity and charging and dual speakers at the bottom of the phone. Labelled as EVT1 handsets ('engineering verification test'), they boast many of the expected specs as revealed in a leak earlier this year, including an 8 megapixel rear-facing camera with LED flash and 4x digital zoom. 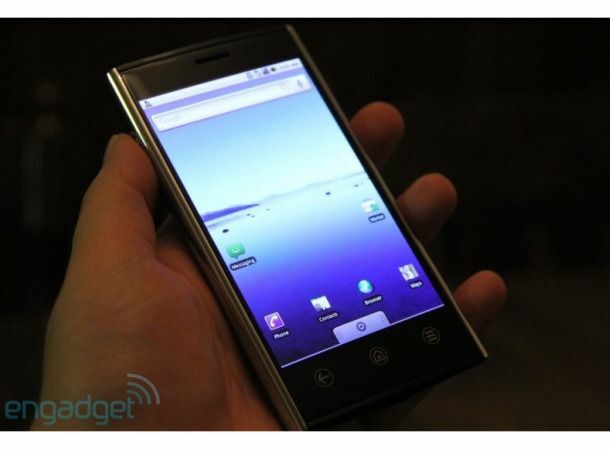 However, the promised OLED screen appeared only to be LCD, though this may be replaced when the phone actually ships. Comparisons to the recently released Droid 2 were made in the video, but from the looks of it, the Dell Thunder is shaping up to be one of the best phones released in the next year.